Depend on Adaptive for quality software, services and support for product design and engineering, program management, product life cycle management and simulation. Adaptive employs some of the best service professionals, and experts of Dassault Systèmes in the country. We’ll share our knowledge and expertise with you in order to successfully integrate business/IT solutions into your work environment, and make sure your experiences are successful and enjoyable. Explore ways our solutions can work for you. Design is the heart of product development. Today’s leading product lifecycle development (PLM) platforms all share one common element: they were created by design software vendors, with design at the center of the PLM workflow. Net-Inspect provides supply chain and quality management software to manufacturers within the aerospace & defense, automotive, and medical device industries. Founded in 2001 and headquartered in Kirkland, Washington, Net-Inspect’s web-based software is now used by more than 7,000 aerospace manufacturers in 48 countries to gain real-time visibility to quality data, both internally and throughout their respective supply chains. PCS is a specialty application that provides current pipe stress engineers with a familiar interface for a powerful finite element solver (SIMULIA Abaqus). Finite element simulation of large piping systems requires not only an extensive knowledge of pipe stress analysis, but also a large amount of man-hours dedicated to geometry generation, loads & boundary conditions assignments, calculation, post-processing and finally reporting. Wolf Star Technologies understands the challenges of Product Development and the pitfalls of structural and dynamic issues that plague every Product Development project. 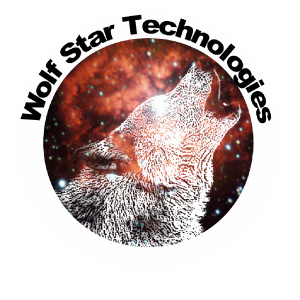 The unique strength that Wolf Star Technologies brings to the table is our first to market solutions that meet the fundamental needs of how an engineer / analyst needs to work with their FEA tools. Our product offerings of True-Load™, True-QSE™ and True-LDE™ bring understanding to dynamic loading of structures and how to extract decision ready data from FEA models. Verisurf is a measurement solutions company, committed to delivering advanced surface analysis, quality inspection, assembly guidance, and reverse engineering. Verisurf products and processes are vital to maintaining a digital thread beween design, engineering, manufacturing, and finished part validation. Based on a powerful CAD platform, Verisurf is committed to digital Model-Based Definition (DPD) (MBD), open standards, and interoperability with all coordinate measuring machines and CAD software. 3DSystems, a pioneer in 3D printing, provides best-in-class, end-to-end 3D solutions and industry-leading expertise to help transform your workflows in design, engineering, manufacturing and healthcare. The GeoMagic Design X software allows you to convert 3D scan data into high-quality CAD models. GeoMagic Control X is a comprehensive metrology software platform that delivers the industry’s most powerful tools within straightforward workflows.